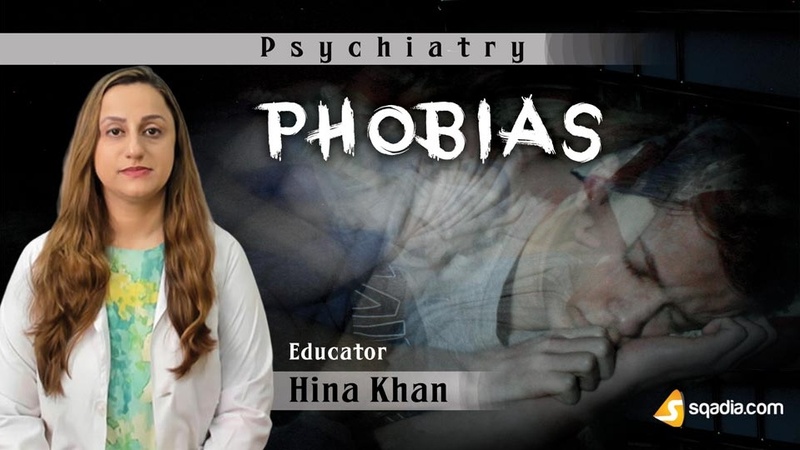 Inquisitive to gain an understanding of the phobias? Here is the sqadia.com medical video lecture to serve the objective. 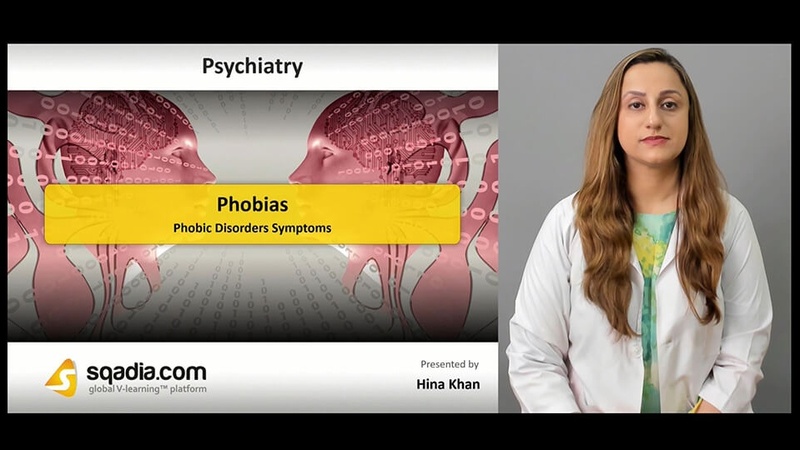 This V learning lecture focuses on all the three major types of phobias viz agoraphobia, social and specific phobia. Additionally, phobic disorder symptoms, psychological assessment along with psychotherapy and medications has been explicated. In this section, primarily types of phobias have been brought under consideration. Moreover, these types including agoraphobia, social and specific phobias have been discussed. In addition to this, their prevalence, risk factors along with the characteristic features associated with each type has been delineated. In the beginning, presentation of phobic disorders has been put forward. Subsequently, cognitive and certain behavioural symptoms have been explained. Additionally, somatic symptoms for each type of phobia viz agoraphobia, social and specific phobias, has been expansively elucidated. 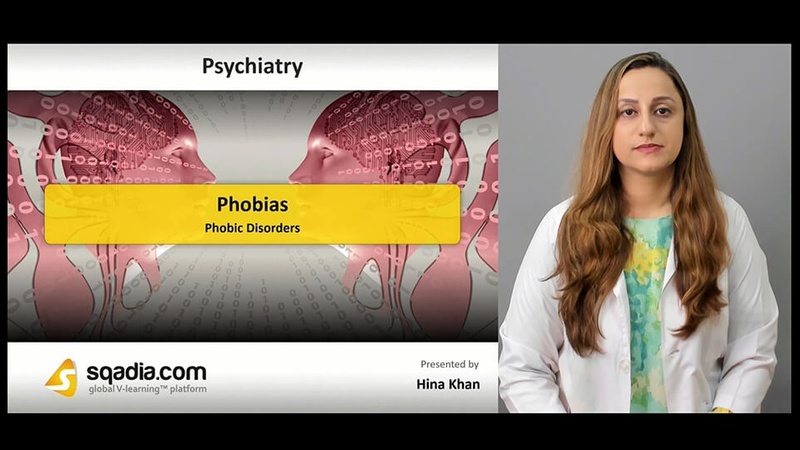 Initially, assessment of phobias has been presented. Furthermore, assessment of various co-morbidities has been conversed about in-detail. Conclusively, some other key features which need to be assessed have also been discussed. Firstly, psychological treatment strategies have been delineated. Following this, certain cognitive and behavioural therapy approaches have been reported. 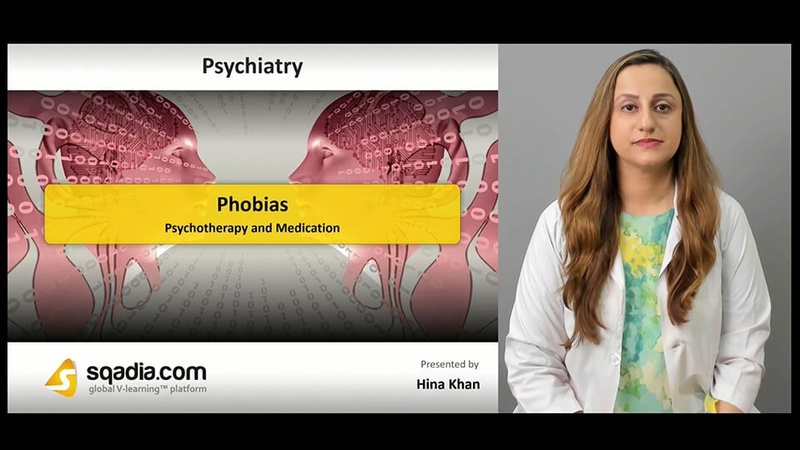 In addition to this, pharmacological intervention for all the three types of phobias has been explicated distinctly.